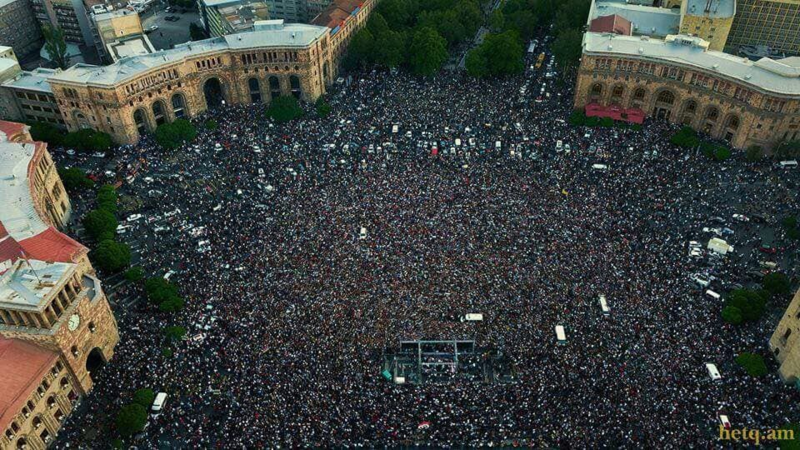 On the 2nd of May after a 9hr meeting the Armenian parliament Nikol Pashinyan, the leader of the recent protests did not get enough votes to become the new prime-minister. He needed 53 votes, but only 45 parliamentaries voted for him. The Republican party, that previously supported Serzh Sargsyan has voted against Pashinyan. These news have greatly displeased the crowd that filled The Republic Square as they were waiting for parliament to vote. As a result of this Armenia has experienced a new wave of street protests. Pashinyan has called for government employees to go on strike. Activists have started blocking roads. Trains and metro stations have stopped working. As a result of these protests the ruling Republican Party has again agreed to a compromise. They agreed to support Nikol Pashinyan on 8th of May when the election will be held again. If on the 8th of May new prime minister won't be elected, the parliament will be dissolved and Armenia would have to have an early parliamentary elections.